Snaps older stock, 4/0, Black Only, 12 per package. 100% Cotton organdy vintage fabric has some folded edges slightly faded. Lt blue with white flowers. 1 yard. 36" wide. Very limited supply. 100% Cotton organdy- Vintage fabric has some folded edges slightly faded. Lt green with white flowers. 1 yard. 36" wide. Very limited supply. 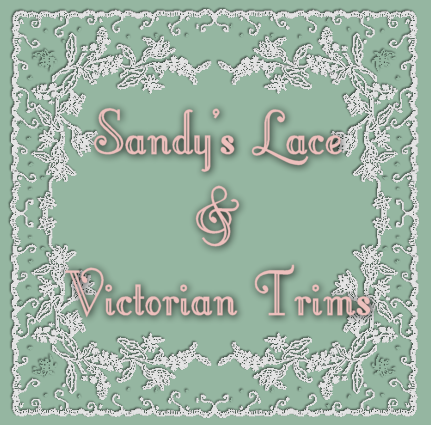 100% Cotton organdy- Vintage fabric has some folded edges slightly faded. Color black. 1 yard. 36" wide. Very limited supply. 100% Cotton organdy- Vintage fabric has some folded edges slightly faded. Color mint green. 1 yard. 36" wide. Very limited supply. 100% Cotton organdy- Vintage fabric has some folded edges slightly faded. Color aqua. 1 yard. 36" wide. Very limited supply. 100% Cotton organdy - Vintage fabric has some folded edges slightly faded. Color yellow, 1 yard. 36" wide. Very limited supply. 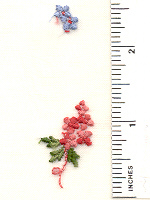 This is a pair of Rayon Hearts, they are 1 3/4 by 1 3/4, white only sold 2 per package. Mother of Pearl buckle, 1 3/16 x 7/8. Mop buckle, 13/16 x 5/8. Buckle Ivory plastic, 1960's Japan, 3/4 x 9/16. 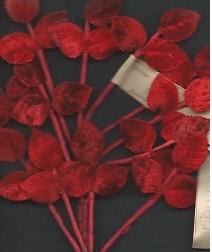 This is a group of Vintage Red Velvet flowers. They still have the Made in Germany Paper on them. Sold 1 bunch, that is 12 stems. 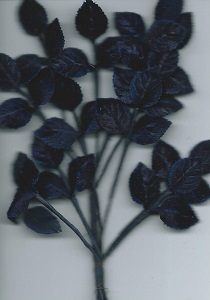 This is vintage velvet navy blue flowers.They still have the Made in Germany paper on them. Sold 1 bunch is 12 stems. Antique Vintage Metallic Tassle, Approximately 1 3/4" long, Rose/Silver, 6 per package. Antique Vintage Metallic Tassle, Approximately 1 1/2" long, Multi Pastel/Silver, 6 per package. Antique Vintage Metallic Tassle, Approximately 1 1/2" long, Jewel tones, 6 per package. Antique Vintage Metallic Tassle, Approximately 1 1/4" long, Silver/ Black, 6 per package. 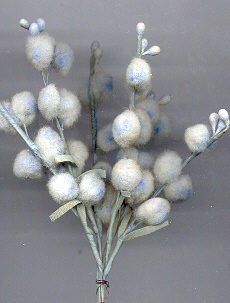 Vintage Lt blue Pom Pom clusters on 6 cloth wired stem.